Jay Northcote is an author I've been familiar with for a while, so when the chance came up to review her newest release, I jumped at it. Admittedly, this was supposed to be up a little while ago but it's been a hectic few weeks with family stuff and I got my release dates mixed up. So apologies to Jay for that! But I digress, I had read two of her past releases - Helping Hand being my personal favourite - and I was excited to see what she had in store for this couple of characters, Scott and Olly. I was particularly intrigued once I read the blurb. 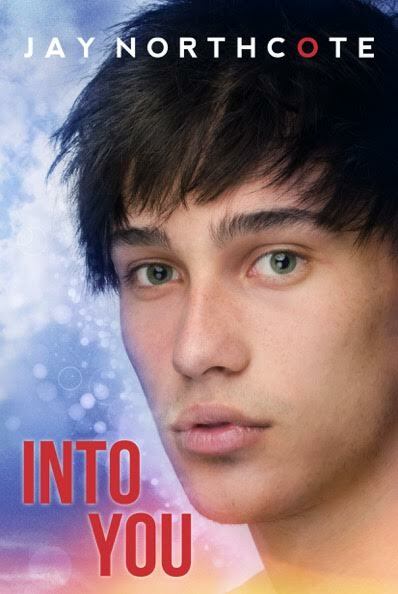 Into You is the story of former best friends, Scott and Olly. As two young boys they did everything together, promising each other they would be best friends forever. But when they hit their teens, feelings start to change for one of the boys. These feelings bubble to the surface after some experimentation and nothing is ever the same after that. The boys become strangers. We meet Scott and Olly again four years later. They're in their final term in school, preparing for the exams that will hopefully allow them to go to University. Aside from that, Scott is a star on the football team and Olly is preparing to play Romeo in the school play. However, everything is soon put into jeopardy when the boys have an argument in the middle of the street - witnessed by their mysterious, elderly neighbour - and the next day wake up facing terrible consequences that neither could have predicted. They've switched bodies! Scott and Olly are thrown together and must work with each other to hide their secret, while trying to find out how to switch back. As they come to terms with the situation and get a peek into each other's lives as they are now, they begin to rekindle their friendship. Not only that, they begin to realise that some of those old feelings never really went away and they are much less one sided as they originally thought. With the end of school and exams fast approaching and the clock is ticking. Unless they discover how to change back, they could be stuck in the wrong bodies forever and all hopes for the futures they'd planned would be lost. I felt like this book was really promising. I don't read a lot of paranormal or supernatural books, so I was looking forward to trying something a little different. And while I appreciate the author's effort and didn't actively dislike the book, I feel like the execution left me a little cold. I think perhaps the story line relied too heavily on the twist and the paranormal elements and as such the rest was very cliched. Scott was your typical high school jock with father issues and Olly was the typical out and proud theatre geek with loving parents. I didn't dislike either of them but also didn't really connect with them either. However, I will say it's possible that some of this has to do with the fact this was a young adult book. It's a genre I don't personally read very often. Another of the ways in which I judge a book is by how many quotes I've highlighted by the end because then I know it's touched me in some way. The fact there's no quotes in this review speaks volumes. Another issue I had with the book was the consent issues surrounding the body swap. I think romance story lines in which body swaps are involved can be tricky to navigate. At first the boys both try to avoid masturbating while in the other's body but eventually one of them gives in. When it comes out, the other doesn't really care but up until that point it's pointed out how weird or wrong it is because it's not their body to be touching. For me it's just a whole uncomfortable grey area that I think I would want to avoid in the future. I'm not saying the author was wrong in how she handled it or it was written badly, but just personally I didn't like it. I felt the plot could have been moved forward in another way. Something I particularly love about Jay Northcotes work is that it's set in the UK. There's a familiarity to it compared to when I read books set in other countries, usually America. At times that familiarity has helped me connect with the characters more than I might have otherwise. All in all, this is not a terrible book by any means. I just personally didn't connect with it in the same way as I have with other books. 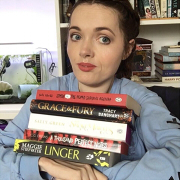 If you're looking for some light reading that does what it says on the tin but with a little bit of a twist - particularly if you're a fan of Jay Northcote or the young adult genre - then I definitely recommend giving it a go.